Home Most Searched METAPHORS: What Are They? If you have ever had your heart broken, then you sure know what METAPHORS are. आप सोच रहे होंगे की दिल टूटने का metaphors सीखने से क्या सम्बन्ध है? I’ll tell you what’s the link here. The reason is to show the intensity of your sad or sorrow feelings by comparing it to something that’s painful in reality and thus relatable. And guess what, it makes you sound extremely smart and sophisticated. 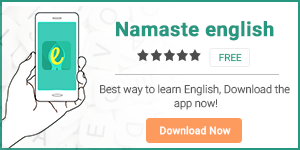 Don’t forget to download our ‘English to Hindi’ dictionary app HinKhoj.